King County Solid Waste Division and Zero Waste Vashon (ZWV) are working together to find practical ways to recycle Vashon’s waste into useful products. 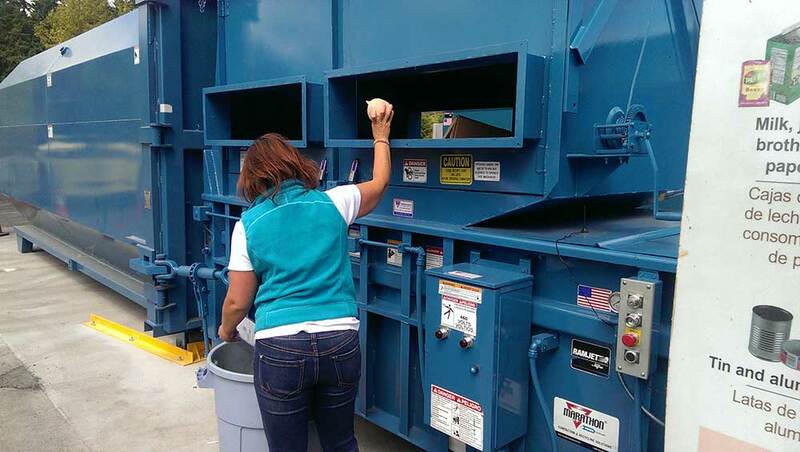 King County Solid Waste Division has expanded and improved recycling services at Vashon Recycling and Transfer Station. As of August 5, 2015, there is a new recycling system at the facility. The large blue recycling containers were replaced with compactors that are expected to reduce truck trips from Vashon to a recycling facility in Seattle by 50%, which will result in decreased carbon emissions and reduced costs because of increased volume of recyclable materials hauled on each truck load. The new compactors also simplify recycling. Instead of separate recycling bins for cardboard and many other types of recyclable materials, now the following types of material can be placed together in the compactors: Cardboard, paper, bottles, jars, cans, and other materials. The portholes for cardboard recycling will be closed. Cardboard now should be placed in the compactors. Look for the “Recycle” sign that shows the different types of material that can be placed in the compactors. Below is a picture of the “Recycle” sign. 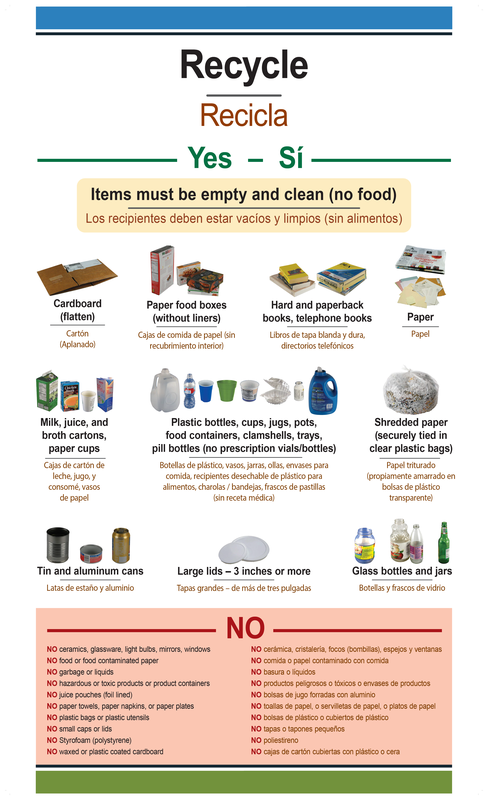 Here is the recycling guide. Separate containers will continue to be available for scrap metals, textiles, mercury-containing light bulbs and tubes, including fluorescent lights, and major appliances separated into refrigerant-type and non-refrigerant-type appliances. Visit your.kingcounty.gov/solidwaste/Vashon or call King County Solid Waste Division at 206-477-4466 if you have questions or need more information.